Mysore, Coorg, Ooty and Kodaikanal are four prominent tourist destination of South India, attracting tourists from all over the world. Every travel enthusiast wishes to explore these destinations promising entrancing nature and historical grandeur that is unique to these places. However, a travel plan which clubs these destinations is one tour requires a lot of planning and arrangement. We at Holidays DNA have made it hassle free for travelers to enjoy the best of all these destinations by designing varied Mysore Coorg Ooty Kodaikanal Tour Packages. At www.mysoretourism.travel, which is a part of Holidays DNA, we have offered a wide array of tour packages catering to Mysore, Coorg, Ooty and Kodaikanal. Covering different travel needs and holiday plans, we have created various Mysore, Coorg, Ooty and Kodaikanal tour packages. From budget travel to luxury stay, from family vacation to honeymoon travel, from last minute tour to summer holidays with kids, we have tour packages for all our customers. Along with varied kinds, the quality of our services ensures a stress free travel to all. Our travel experts along with booking travel tickets, finding suitable accommodation, hiring cabs for sightseeing, arranging guide, etc., are also available 24/7 for our travelers, offering best of suggestions about the destinations they are visiting. Our tour packages can be booked from any city, as we offer travel plans from all the major cities such as Hyderabad, Bangalore, Pune, Chennai, etc. Tourists can also opt for tour package from Mysore to Coorg, Kodaikanal and Ooty. Mysore Palace- Built in 1912 by a British architect, Mysore Maharaja Palace is known for its architectural beauty. This majestic structure has been the official resident of Mysore Royal family. 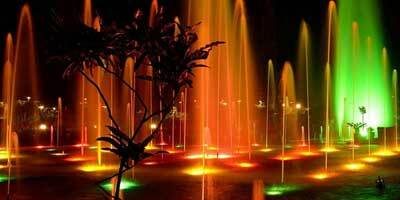 It is most popular sightseeing place in Mysore. Mysore Zoo- With birds visiting from more than 40 countries, Mysore zoo is a dream destination for birdwatchers. Along with rich avian fauna, this zoo is also home to many rare and endangered species of animals. It is one of the oldest and biggest zoos in the country. Jaganmohan Palace/ Jayachamarajendra Art Gallery- Jaganmohan Palace, which was an alternate residence for the Mysore royals, has been converted into Jayachamarajendra Art Gallery. It is one of the best art galleries in India, with more than 2000 paintings by various renowned painters from the world, including masterpieces of Raja Ravi Verma, Rabindranath Tagore and many. Tibetian Golden Temple- Namdroling Monastery, also known as Buddhist Golden Temple is located about 90 km from Mysore in Bylakuppe which is a Tibetan settlement. Temple’s structural beauty along with the serene environment of the place makes visiting to Bylakuppe a must. St. Phonemena’s Church- This church was built by Mysore King Krishnaraja Wodeyar IV for the European residents of Mysore during his rule. It is dedicated to Saint Philomena. It was built in 1933. Dubare Elephant Camp- Dubare Elephant Camp is located on the banks of River Cauvery. In this camp elephants are trained for Dusara festival. Tourists can bathe and feed elephants. Facility of elephants ride in the jungle is also offered. Talakaveri /Talacauvery– It is located in Brahmagiri Hills and is popular for its religious association. It is popular among nature enthusiasts as well for scenic beauty and adventurous trails. Raja's Seat– This place is famous for the sunset and sunrise view from here. It used to be a favourite place for royals to sit and enjoy scenic beauty of the area around. Even now, tourists visit to spend some time amid breathtaking nature. Abbey falls- In the middle of coffee plantation, this waterfall is located about 10 away from Madikeri. It is an ideal place for trekking lovers with its exciting trails. Madikeri Fort- Presenting a glimpse into the history of Coorg, this fort was first built in 17th century. It was later rebuilt by various rulers such as Tipu Sultan and King Linga Rajendra Wodeyar II. Doddabetta- Highest peak in the Nilgiris, Doddabetta is a famous viewpoint of Ooty. Not only for mesmerising natural surroundings, it is popular among adventure seekers for trekking opportunities. Avalanche Lake- This Lake is located at a distance of 28 km from Ooty. Along with enjoying its serene setting, visitors can also try fishing as well as camping here. Botanical Gardens- Laid out in 1848, these gardens are located at the bottom of Doddabetta peak which is another popular tourist spot. Bestowed with an extensive array of flora, this garden is maintained by Tamil Nadu horticultural society. Ooty Lake- built in 1824, this manmade lake is spread over 65 acres of area. Boating is quite popular here, while in the month of May boat races are conducted which is a sight in-itself. Ooty Mountain Railway- Declared as a heritage site by UNESCO, this mountain railway was built in 1908. Here the trains are still powered by the steam engines. Kodai Lake- Kodai Lake is one of the main sightseeing places in Kodaikanal. It is a man-made lake which was constructed by Sir Vere Henry Levinge, former District Collector of Madurai. This lake is spread over 60 acres of land and has a shape of a star. Tourists can go for boating and take pony rides here. Berijam Lake- This 3 km long lake is located about 21 km from Kodaikanal. It is popular as a picnic spot, offering refreshing surrounding for tourists to spend some relaxed moments with their loved ones. Coakers Walk- Built on the slopes of a hill, Coakers Walk is a one km long stretch that is bequeathed with captivating nature. The view of the hills from here is amazing. Walking here is a unique experience. Dolphin’s Nose- It is located about 8 km from Kodai Lake. It is often visited for the mesmerising view it offers. Even the route to this rock is full of adventure making it an ideal place for trekking. Waterfalls- There are many popular waterfalls in Kodaikanal. Two km from Kodai Lake, Bear Shola Falls, where bears are believed to come for drinking water is a must visit. So is the Silver cascade fall which has a height of 180 feet.